Although it was small, it was solidly made, and the operation was smooth, so it was safe and easy to set up. This review is about item#6912211. It was smaller than I thought. It takes time to think about usage. 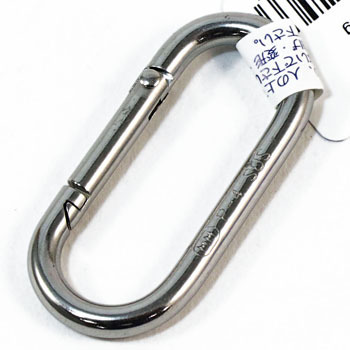 A point that is firmer than normal carabiner. However, the opening is sharp, and it tends to get caught by the belt loop. I think that it can be rounded, so I want the corner to be rounded. This review is about item#06912227. This review is about item#06912245.